A Things of Science unit from August, 1962 on probability. I’ve already scanned in a unit just like this one. There are a few cards that came with the unit that were printed on a stiff card stock. Those are reproduced on the last few pages of the booklet below. Maybe it was the Summer of Love? Things of Science started to get more colorful in 1969 — swapping out the usual yellow-gold paper for other colors (although admittedly, a less-than-inspired gray here) . Additionally the “logo” for Things of Science changed as well. See for yourself on page 1 of the booklet linked below. 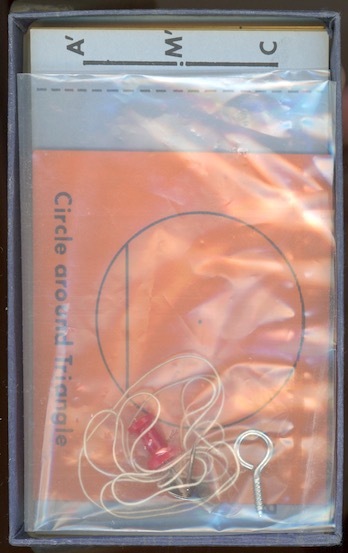 This unit takes on geometry but explains some familiar concepts in a hands-on way. Very cool. Probably the longest booklet I have encountered in a Things of Science unit to date. 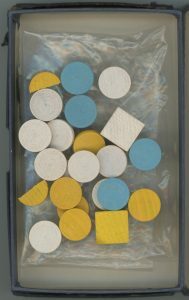 Small beads made for a small abacus you could build with this unit. 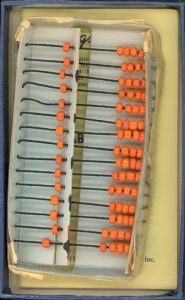 The booklet (below) goes into lot of detail on using the abacus and it’s history. An unusual Things of Science, both for the size of its booklet (a full U.S. letter size; 8.5″ x 11″) and also for how text-heavy this unit is. 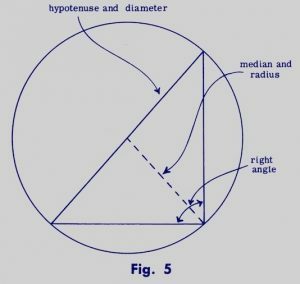 The subject of this unit, topology, is a fairly complex concept in mathematics and Things of Science, as usual, gives it a very thorough treatment. Perhaps this unit was intended for a fairly sophisticated and advanced learner. While they approach the subject in easy to grasp terms, it is hard to see twelve-year-old me being very engaged. This Things of Science must be newer than the previous ones I posted. It isn’t numbered, The booklet too has gone from the larger 5″ x 6″ format to a narrower 3″ x 5″ (and nicely stapled now). The “experiments” in this unit read more like math problems (not surprising, I suppose). 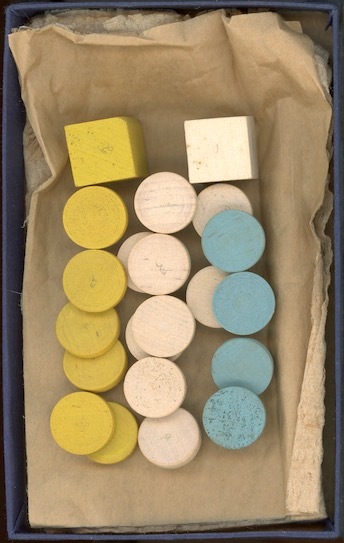 But, again, like the best of Things of Science, the math is approached very practically — that is, by rolling dice, picking colored disks at random out of a box, etc. So it brings a very down-to-earth understanding of a complex topic. This unit was also published earlier in 1962.